A little late again with the race report, sorry folks. Last week was straight off the plane from Japan and into the classroom. But it's given me some time to think back and reflect on this epic of races. 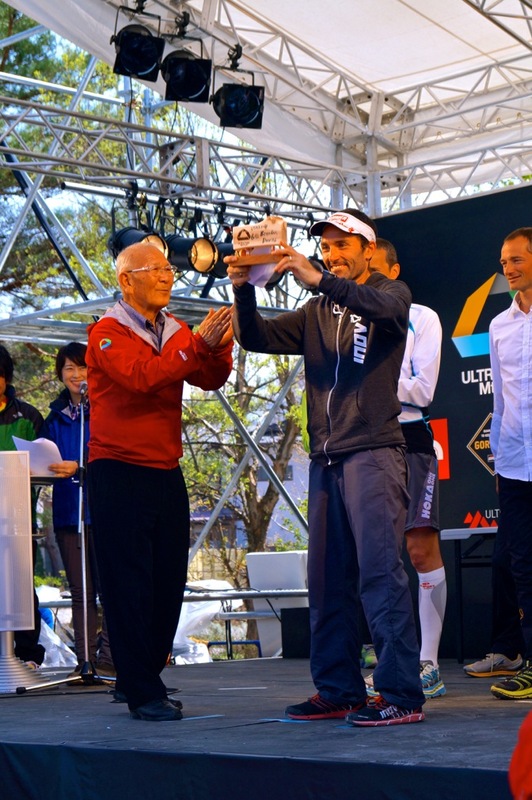 Coming into my second UTMF, I was confident I could put in a strong showing. Despite the course being 8km longer and with more vertical than in previous years, I really thought that I could get close to my time from the year before. This turned out to be not quite on the money but there is no doubt in my mind that this performance was far better strategically and from a performance perspective. Thanks to the NSW school holidays, Nadine and I enjoyed a very relaxing and enjoyable holiday for a week prior to the race in the historical and beautiful city of Kyoto. We did a lot of walking and sightseeing and this was the perfect way to taper for the race. We ate wonderful Japanese food and visited many special places. There were many highlights and we both loved having the time to see much more of Japan than we had previously. We arrived at Lake Kawaguchiko on the Wednesday before and were met by much cooler and wintery conditions than in the previous year. 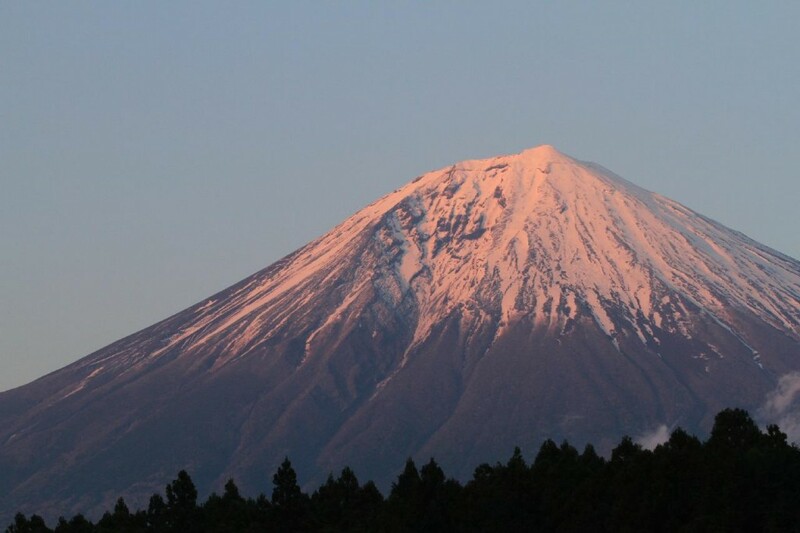 Mt Fuji was shrouded in cloud and when she did poke her head out it was clear that there was much more snow cover on the ancient volcano as well. I was sure glad I packed my Inov-8 3 quarter tights. I don't need much incentive to wear them at the best of times so the deal was sealed; I would wear them come race day to keep my legsies warmsie. The following couple of days were spent hanging around the Inov-8 x Descente stand at the race expo and eating some really healthy, albeit at times unknown Japanese food. It was protein and it tasted damn good. My body was feeling refreshed and ready to go. At the prerace press conference we were taken through the course by the Race Director and Japanese trail running legend Tsuyoshi Kaburaki. 'Beware the Tenshi Mountains' he said like wise Yoda. He also added that the rerouting of the course with the extra 8km and more vertical will add 90 minutes to the finishing time from previous years. I was listening. Then the running royalty were paraded and it was like a who's who of the world of ultra running. Guys and girls whose names I had only heard of on Talk Ultra podcasts or read about online. I couldn't hang around to hear all the interviews; dinner was calling and traditional Japanese dinners (or should I say feasts) are worth being on time for! You don't want to be late for this! I laid out my gear, did my final gear check, went over the crewing plan with Nadine and got into my traditional Japanese bed nice and early. 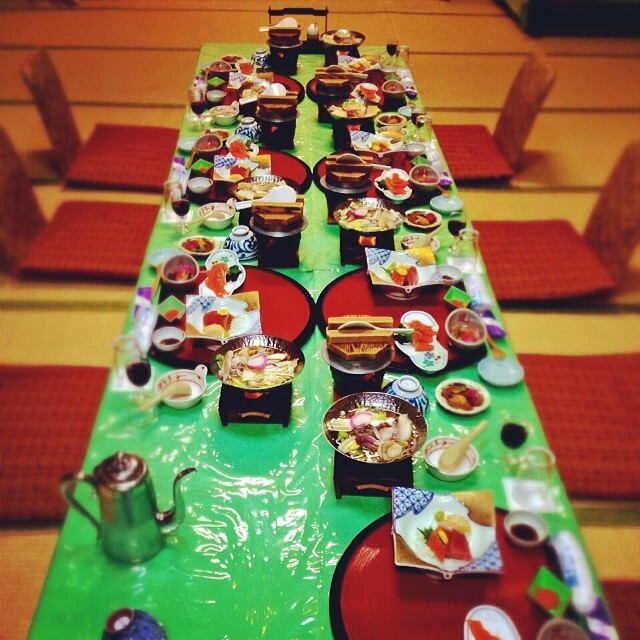 I slept well and the next morning begun with a relaxing bath in the hotel onsen followed by a big breakfast. I made sure I didn't skimp on the rice. Nadine and I went back to bed for a couple of hours knowing that we both had a big day ahead of us. This little nap was refreshing and calming. I was ready to go. Prerace with fellow Aussie Tegyn Angel. He went on to finish 2nd Aussie! The start was frantic and after a countdown of 10 - 1 in a mix of English and Japanese the mass were on their way. Although I was only a couple of rows back from the front I was quickly spat backwards and found myself way off the lead bunch for the first couple of kilometres. When I eventually found some free air I closed the gap somewhat only to find that what I thought was the lead pack was in fact only a chasing pack and that a bunch of guys including Francios Dhaene had shot way out. The first gravel road climb began and I found my rhythm running with a few familiar faces like Jeremy Ritcey, Sebastion Chaigneau and last year's champion Hara-san. I was surprised to see the leading lady Nathalie Mauclair storm past and really pushing the pace; it was if she was running a 10k tempo rather than a 170km ultra such was her effort. Eventually we summited the first real peak and began our way back down, a short steep descent and I stuck to my prerace plan of pushing the pace on the downs but being careful to look after my quads. It's a fine line but I had to run to my strengths. I passed Joe Grant on the way down and this began our little yo-yo battle that would last for the first half of the race. Joe is a fellow Inov-8 team mate and a top guy. He was running in the X-Talon 212s and eating up this downhill. I managed to catch Ryan Sandes too and we exchanged greetings; we last saw each other at TNF100 the previous May. At the checkpoint, the leading guys basically ran straight through and it was here I noticed a trend among all the leading guys, none apart from me had chosen to use a bladder. It soon became apparent that they were only carrying very minimal water, the majority going with 2 x 500ml collapsable 'squeezy' type water flasks. I took note. This leg starts climbing gently up a gravel road before turning to single track after about 8km where it turns really nasty for a couple of km of real scrambly hiking. Most of top guys and the leading female flew off into the distance as soon as we hit the single track and I was passed by many. Although I thought I was travelling OK, it was obvious that others thought this section deserved less respect than I was giving it. Last year, when the course was run in the opposite direction, this was a killer up and down and I was glad we were getting rid of this section while still quite fresh. As soon as we hit the descent I caught a few guys that were taking this very technical section quite cautiously, including early pace setter Christophe Le Saux, who is very recognisable with his big mop of hair! A smooth descent then followed to the A2 CP. I was happy with how I had started. Leaving CP2, I put on my headlamp, and strode up through the bamboo forests up a short and steep climb. I remembered this peak from last year and knew once on the other side it was a nice downhill for around 4kms. I got stuck into the climb, powerhiking most of it. My legs felt pretty strong and from memory I don't think I was passed by anyone which is always a good sign for me. Once we hit the down, I opened up and caught one of the early bunnies, a Japanese runner. 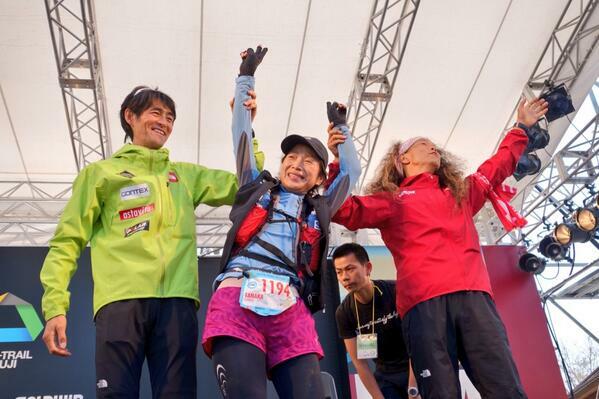 Into A3, all runners were greeted to a generous Japanese applause. This was the first CP where crew were allowed and it seemed every runners' crew was already there. It was crowded! I swapped bladders, Perpetuem bottles and grabbed a Hammer bar from Nadine. Although I hadn't made up any significant ground I was warming into the night leg. There was even a film crew there following the action! Leaving A3, we hit the suburban streets for a couple of kilometres and I immediately went into my road running gear. I caught Joe and a Japanese runner pretty early on and began the next climb feeling pretty confident that I could make some ground up on this leg. The leg was a series of short, sustained climbs, most were runnable and on a reasonable trail. Not long into the climb I caught Mike Foote too and we shared a bit of banter. He was having a bit of a low patch but even so I thought he looked pretty comfortable. His low is my good! The fog was beginning to come in quite thick and visibility was quite difficult at the peak of this range. On the real steep sections Joe Grant went powering by...again. Eventually we started the descent down the range and it was mostly switchbacking single track which is always fun. The lower I got in altitude the less fog was around and I was taking advantage of the awesome 600 lumens of brightness that my Ferei headlamp was offering. A couple of kilometres from the A4 CP I caught the leading female who was beginning to slow down after her intense start to the race. She was fading now. This leg was a real grind, 90% of it being that douche grade stuff, really tough to find a rhythm on too. It was initially through some very rough bushland where the trail was quite indistinct before opening up on more firetrail type road later on. I ran a lot of this leg with Mike Foote who was back on the way up after his little down patch. It was a really interesting leg as we crossed over multiple dried 'river' beds of lava flow. We eventually then started the climb on the volcanic soil that makes up the surrounds of Mt Fuji and I knew we were close to the highest section of the course. Mike got away from me and said that he'd 'be seeing me on a downhill soon'. I wasn't so sure, he was running really well. The volcanic soil was a slog on the uphill grade. Towards the A5 CP there is was a little out and back section (different to last year's route) and I got to see the leading group and was heartened that they weren't too far in front. I didn't really recognise many of the faces; but it included Antoine Guillon (whom I recognised from the year before), Nick Clark (who had given the big UTWT talk the day before at the press conference) Joe Grant and 3 highly ranked Japanese men including Hara-san. Mike has also managed to get a couple of minutes ahead too. I hit the CP and didn't hang around. It was cold and a nice descent was beckoning! The little out and back from the CP afforded me the chance to see my chasers. Sebastien and Nathalie Mauclair (who was hanging tough after her very fast start) where running together now. After descending the slope of Fuji, the trail turned on some very technical single track, up and down many gullies and rocky sections. I didn't lose nor gain any positions on this leg; the results show that I moved up one spot but I think I caught one of the Japanese runners right as we were very close to the CP. It was only a short, but tough leg. I remember grabbing some beautiful soft, sweet rolls from the tables at the CP. The Japanese can bake some beautiful bread and these complimented my use of Strawberry Perpetuem beautifully! This is where I had told myself prerace where my race would start. This was the beginning part of the course that I had to extract every metre out of as quick as I could (within reason of course). 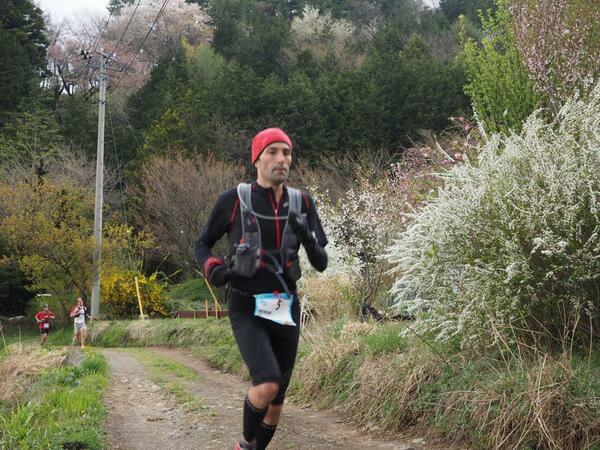 It was what I called the Mt Fuji downhill half marathon, most of it was on long gradual, very runnable gravel service road. This was my terrain and I had to make the most of it. The Movescount data shows that I was consistently running 4:30km on most of this section, but more importantly I thought I was still managing my body really well. Despite the temptation to really smash the downhill, I kept my pace quick but really consciously thinking about my footfall and impact that this was having on my legs. The initial stages of the leg were on some pretty neat single track and I began to open up. Pretty soon I passed a runner who was doing it tough, I wasn't sure who it was but later I found out it was Iker Karrera. The trail then turned to the gravel road and so the road rhythm started up again. I quickly reined in Joe again, he seemed to be slowing somewhat, but gave him the reassurance that come the Tenshi Mts he'd be back up past me in no time. The CP was also the only spot on the course where a drop bag was allowed. With Nadine and my support from Descente heading back the hotel for a bit of kip, it was always the plan for me to be self sufficient until A8. I have to say the volunteers at the CP were fantastic, radioing ahead my race number to someone at the drop bag depot who then had it ready for me when I came through. I quickly changed bladders, restocked Perpetuem and Gels and was on my way in no time. I managed to leapfrog Piotr Hercog at this checkpoint, but Joe, who was being crewed and slightly more efficient, did the same to me so my position in and out remained the same. The next leg was for me the fastest section of the course; downhill in nature, wide open gravel road. It was time to go! Within a minute I'd re-caught Joe and this was regrettably the last time we would yo-yo. Although I was sure Joe's power on the climbs would see him march by up the Tenshi Range it never occurred. 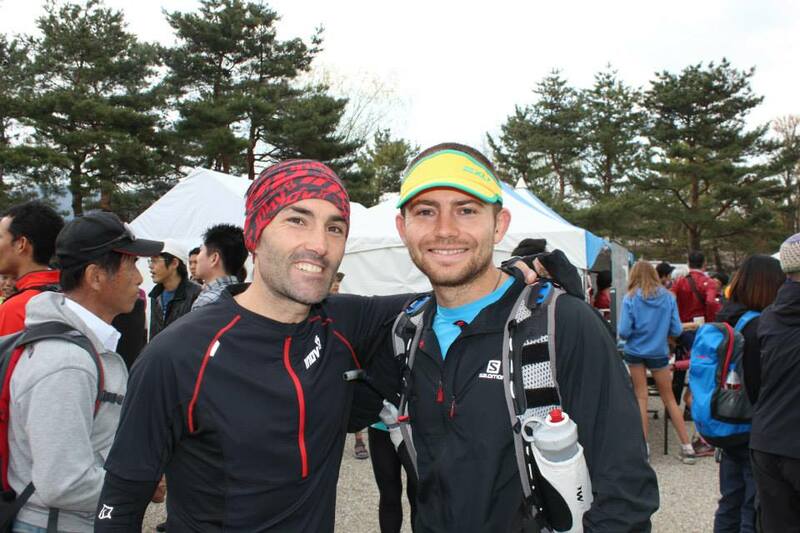 He is a real gentleman and I'm so glad someone of his caliber is on the Inov-8 team. Running down the gravel road, there were lots of long, open sections and in the darkness of the night I was beginning to make out a distant headlamp and I knew that I was catching someone else. Many times I mistook the reflective marking tape for a headlamp, but not this one, it was definitely a moving light and this encouragement was all I needed to keep the hammer down. Eventually I caught them and it was Lionel Trivel, 10th in last year's race. He didn't let me go easily but eventually his headlamp faded behind me. I got to the W1 water station happy how I had run that section. It was always going to extract as much out of it as I could. Bryon Powell, who was doing a marvelous job covering the event for his site iRunFar.com, gave me some good encouragement as I ran through the water stop. This was a tricky leg. The beautiful open firetrail was over to be replaced by tricky single track that followed a power line corridor. Quite lumpy with a few surprises; the odd steps, a couple of gullies, a desolate shanty town and past a foul smelling chicken farm (bad pun). It was a real mental challenge not to walk on some of these sections; and you really had to keep your focus as the trail was slippery and the dew on the grass made for wet shoes and socks so I was really picking the driest line. I was really happy how the TrailRoc 245's were performing and I was glad I hadn't swapped shoes at A7 as I had prepared for if the situation warranted it. In the distance behind me I saw the headlamp of Lionel's and knew that he was travelling well. This kept me motivated to keep pushing. 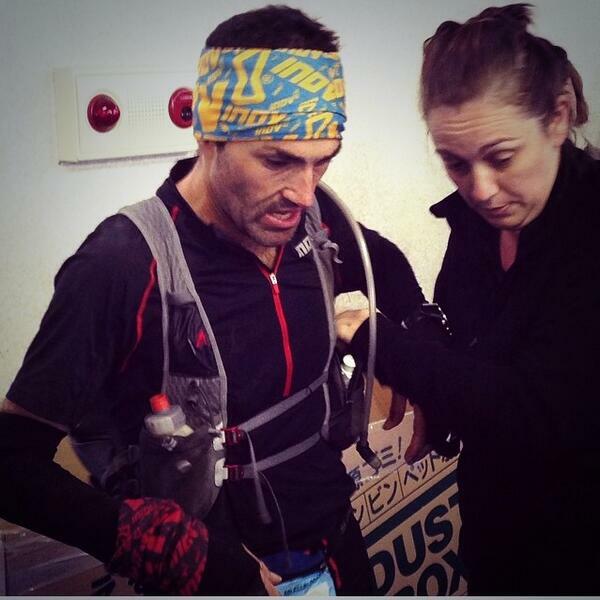 I was looking forward to the aid station where I would be reunited with Nadine once again! Being the deep dark middle of the night, and fatigue beginning to set in, it was just the mental boost that I needed. Once at A8, Nadine told me that I had run a terrific section while she had been away sleeping and that I had made up many positions. I remained circumspect; that was always going to be my best part of the course and what laid ahead now, the Tenshi Mts, had the ability to make or break me. As I was repacking my kit Lionel came in and this was my cue to get going again. I wasn't going to waste all the good work on the trail I had done with a slow transition. I said this to Nadine and she mentioned that I had also caught Hara. In my haste, I hadn't noticed anyone else in the CP, but Nadine pointed out that Hara was sitting down to my right having something to eat and talking to his wife. He looked to be in a little distress. I last chatted to him at Tarawera Ultra and knew that an injury had ruled him out there. I hoped that he could get going again as it's always great to see the champion defend his home turf. Leaving the CP we had our gear checked, and I passed another runner here Antoine Guillon (7th last year) who was having some trouble explaining why his pack was so light. It must have been under 2kg as this was the minimum weight requirement when leaving the all the checkpoints. I couldn't work out how his pack (with water and food and all the gear) could be under 2kg. Mine must have been around 5kg, I was carrying a full 2L of water, 500ml of Perpetuem, a Gel flask and the rest. The next leg was going to be a killer and either he was taking a really calculated risk or had underestimated the ruthlessness of the Tenshis. Either way, I was out there happy to leapfrog someone for not much effort! The night air was cool and with every metre climbed the city lights below became fainter and fainter. The Tenshi Mt range section are actually a combo of 6 peaks so I knew not to relax mentally at the top of the first peak. I was using the mantra 'any type of run is faster than a walk' and as soon as the trail went down a few notches in intensity I would pick a tree and run to it. Summiting the first peak, I took a second to reflect on the craziness of what that was...think the Eastern Col climb of Mt Solitary x 5 end on end. The night was slowly losing way to the dawn at this point and I was really looking forward to the revitalisation that morning brings. On I marched, ran and stumbled, the track at times turning so scrambly ropes were hung down to assist. As the sun broke through in earnest I hit the second last peak which was particularly nasty; and at the base I came across a sight I didn't expect, a runner laying out all their gear and shirtless in the middle of the trail. It was Emmanuel Gault; I had no idea what he was doing, but I offered my assistance to which he replied that he was fine. Fair enough, it was a nice morning for a lay down! I continued the trudge upwards. As if getting to the top wasn't hard enough; the downhill off this one was some of the hardest, trickiest and downright most dangerous descending I had ever done. It was just so steep and slippy. The clay and granite rocks were not giving any traction under foot and I was longing for my X-Talons that I had left in the dropbag. A couple of times I did some big arse slides and was saved by only a lonely tree from falling further. Once I fell and grabbed a tree which only served to swing me around to the side of the knife edge off the side of the mountain. Half way down this descent I was passed by Lionel Trivel. It's never nice being passed but I took a lot of encouragement that it had taken him close to 3 hrs on this range to catch me even though he was only a few minutes behind me at the last CP. Anyone that is French is in my eyes a good mountain climber! Leaving A9 with the Tenshis behind me! Leaving A9, Nadine had told me that 3rd-6th places were all within 20 minutes of me. I have to admit I was definitely being motivated by positions now. I got moving! The next section was a mixed bag; a flat section followed by a power hike climb. The run into the climb was a gently ascent and I put the hammer down best I could. I quickly caught and passed Nick Clark and my next aim was Lionel. Once we got to the climb though I knew it was going to be tough to make ground on him on this terrain but I gave it my best shot. My legs were still powerful and purposeful on the climb. 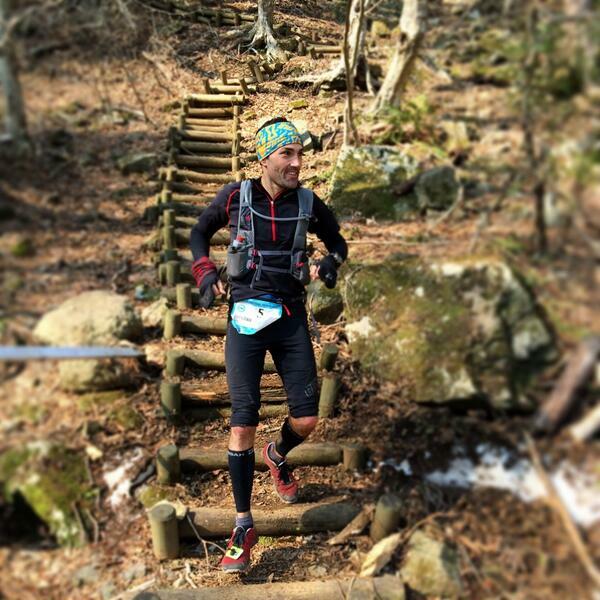 Sumitting the peak, Ryugatake, was one of the most breathtaking experiences of the whole race. Mt Fuji was massive, exposed and in all it's resplendent glory. There were a couple of picnic tables up the top and some hikers already out on it enjoying the view. The descent started, very technical at first before turning into much more forgiving switchbacks. We were descending down to a lake, and the views from the top all the way down were spectacular. I was really giving the descent extra effort but there was still no sign of those ahead. At the bottom, we had about 4km of road running into the next CP along the side of the lake and this was the new rerouted section from the year before. I was really surging at this point and Koichi Iwasa from dogsorcaravans.com and Bryon were both there telling me that 5th wasn't far ahead. I hit the accelerator and powered on all the way into the CP. Nadine was ready to restock my kit bag and again she was gave me the same message; from Mike Foote in 3rd to me in 6th there was only 20 minutes. I knew in the scale of things that this was not a lot of time; the business end of a 100 miler is always in the last quarter of the race and I was potentially in with a real shot of getting deep in the top 5. I just had to find that last extra bit, push myself to a new level and run sections faster than those in front of me. It was going to be tough but this is the mindset I had as I left the CP. Immediately after leaving A10, we faced another mountain range climb and I was just keen to get up and over them and move onto the flat 10km road running section before A11. This climb was tough, very technical, narrow single track. The first peak was climbed OK but the downhills were now beginning to hurt a lot. My quads had eventually begun to pack it in and each footfall on the descent was stinging. This is the real mind over matter stuff, and I was pushing aside the pain using the mantra 'it's meant to hurt' and plowed on. The 3 short series of climbs that made up this section were taken way too slow to catch anyone in front, and this is when thoughts of losing spots began to creep in. 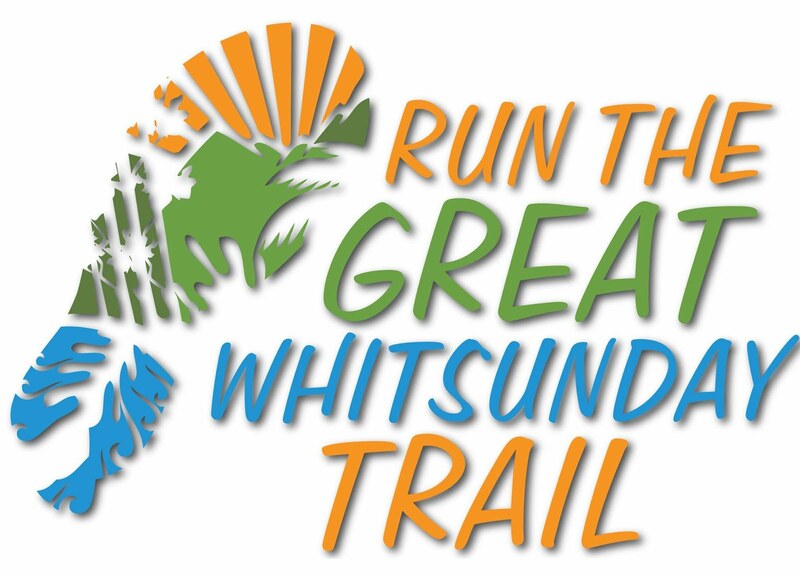 Once on the bottom, the course then followed a major highway for about 10km, boring and brutal on fatigued legs and although it gave the brain a break from having to think too much about the trail. it took a lot of mental toughness to up the ante. In hindsight, I think I pushed way too hard on the previous leg and I found this road, of which most was slightly uphill in nature, very tough and thought that unless guys in front were walking, I wasn't going to catch them with the pace I was doing. It quickly became quite a demoralising journey up this road. Breathing in truck exhaust fumes, putting up with concrete paths and not seeing anyone ahead on long visible stretches changed my mindset from one catching others to one that started to think about being caught. Mentally is just turned right here. It's funny what goes through your brain. Questions like...'is 6th a good result?' 'will my sponsors and supporters be pleased with the result?' and 'out of the top 10 last year, will I be the most consistent performer'. Of course I still had all these things to run for and I ground out the rest of the leg into the A11 CP. I downed some Coke and had a 2 minute breather while a timing tag was retied to my shoe. I had no idea how far in front 5th was. Looking at the splits later it turned out to be only 10 minutes to Lionel; I must have only just missed seeing him on the long stretches of road afterall. It turned out he was still very catchable even with just 11km to go, but hindsight is a wonderful thing. It wasn't going to happen with the mindset I was now stuck in. Leaving the CP, it was back up the last little mountain and I was greeted with the coolest thing ever, a marshal standing there playing the theme from Rocky on his saxophone. It was simply one of the best renditions ever, from the very first bar to the last he didn't drop a note or miss a beat. If anything was going to lift my spirits it was this. I gave him a quick bow and continued up the firetrail climb. This little section was tough and it never seemed to stop going up. I was walking now many sections that I shouldn't have been, and the downhills were stinging my quads. I was as good as finished now, just surviving the rest of the way now was the challenge. Finally I came to the top of the last peak and the last torturous stairs down to the edge of Lake Kawaguchiko. Each stair was taken very gingerly...in short they were hurting me big time! 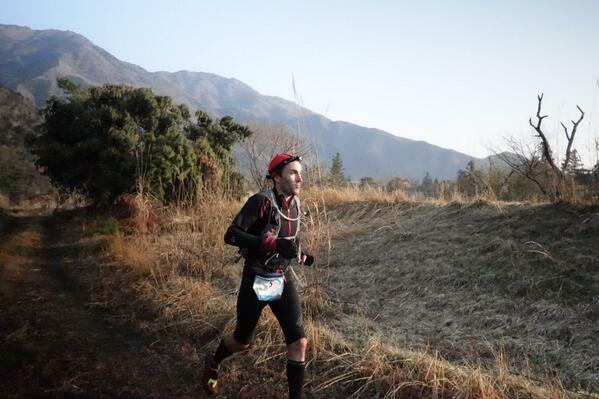 I got to the bottom in unspectacular fashion and began the final 3km flat finish along the shore of the lake. Running into the finish is always a very emotional moment; after all running for near 22 hours can do this to you! I high fived as many of the hands that were outstretched that I could reach, bowed to the crowd, threw my pack in the air and ended it 21h 53m and 57s after the start. I was a happy man. Descending the final stairs~perhaps that is the only reason I was smiling! Overall, I'm very satisfied with the way I raced this year's race. I was strong on the sections I should have been strong on; the roads, the gravel roads and the descents. But most pleasing was that I was also strong on all the climbs and instead of going backwards on them as I did last year, I actually felt I moved up on the field on them, particularly in the second half of the race. There is always room for improvement though. 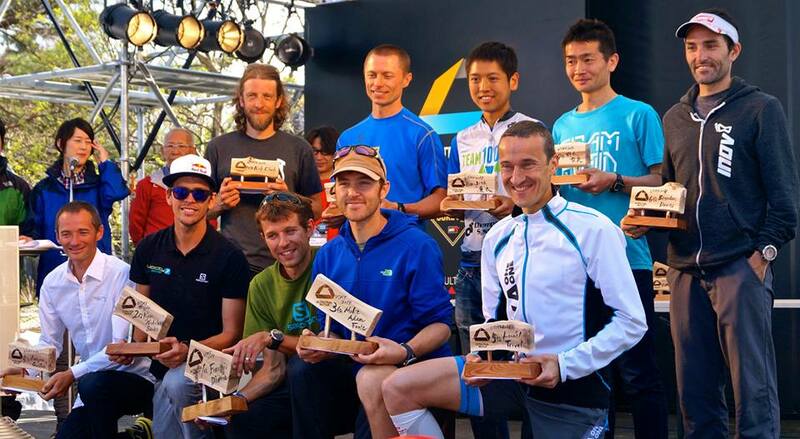 The last 20-30 kms I thought were a missed opportunity to sneak into the top 5 again, but hey, this is a massive result for me regardless and when the main race this year is Western States, I have to say that UTMF ticked every box it was meant to do. So where to from here? Well, just like Tarawera and the Buffalo Stampede were and TNF100 will be, UTMF was a vital stepping stone towards Western States. It's always been and always will be about this race this year. So far everything is on track and all the performances are heading in the right direction with every race. I have to thank all the gang at Descente for having me over, Inov-8 for all their support and of course my brilliant crew Nadine. 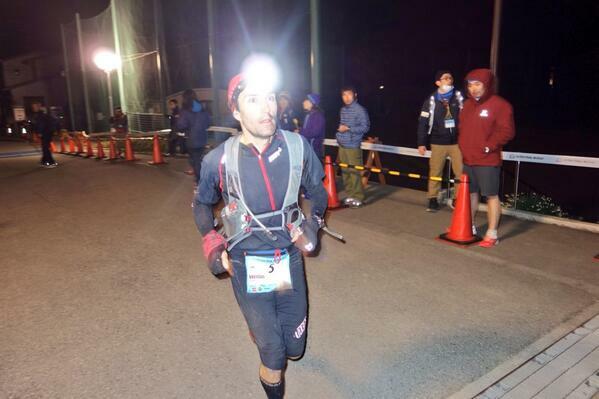 "I saw people who ran UTMF over 40 hours, and who could be said to be doing it more tough than the elites, who then sat down, got their own shoes off, found their own quiet spot to collapse, got up, got their own drop bag and end of race bag, and then walked themselves and all their stuff back to the local train station to go home- seriously- I am sure I am asked to take shoes off not because I am needed to, but because he knows I will! I have showered him, helped him in and out of cars, up and down stairs, gotten any form of food or drink he's asked for (that I can actually get in that country- seriously, chocolate milk after a race in rural Japan Bren?!?! ), handled all forms of his disgustingly stinky (stand up by self stinky) clothes, got up to hand him things that are 10cm out of his reach, gotten him bags to spew into, found him blankets, taken 152, 476 photos, etc etc. All fine It comes back to me in other amazing ways, such as standing at the UTMF and STY awards, and having the final UTMF runner come in in just under 46 hours, and have her brought onto stage, and listen to her talking, while she, and I, and half the crowd have tears streaming down our faces; I get to see the joy of two people wearing foam Mt Fuji's on their heads discover each other, and yell with joy and hug each other although they have never met before; I get to see my husband as simultaneous vulnerable and strong as he gets; I get to see a culture come together and express their joy in each other and others; I get to see people cry and hug and get and give high fives for 100 metres even though they could barely lift their arms a moment ago; I get to see the sun rise and the sun set and all the colours of the sky and the light turn yellow and pink and clear and the light fade into tiny spots- I get so much... But geez loiuse, smells and filth after a 100 miler are pretty darn gross... He's got a few more hours, then I'll start asking for cups of tea of my own..."
Not a dry eye in the the house! The last finisher under cut off, 45h 50m. Yes she needed to be held up! Wow, I knew you were a legend on the trail running scene Brendan, but that is amazing. I cant wait to read your book. 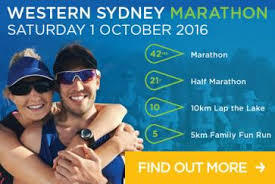 You are not only a credit to your family, but to the running community you represent each and every time you hit the start line. It is a pleasure having someone like you in our sport, giving back and continually striving to make the sport even better. what kind of mix do you use for your perpetuem? are you making up a paste or multi-hour bottles? Hi Tobit, I usually mix Perp in accordance with how long i'll be between checkpoints, so if I was going to run 2 hrs before being able to restock I'd make a 2h bottle (I usually use a 300ml bottle, so 3-4 scoops, rest water). This is quite pasty. Congrats Brendan, you ran a beautiful race. And also congrats to Nadine the best support crew you could have. 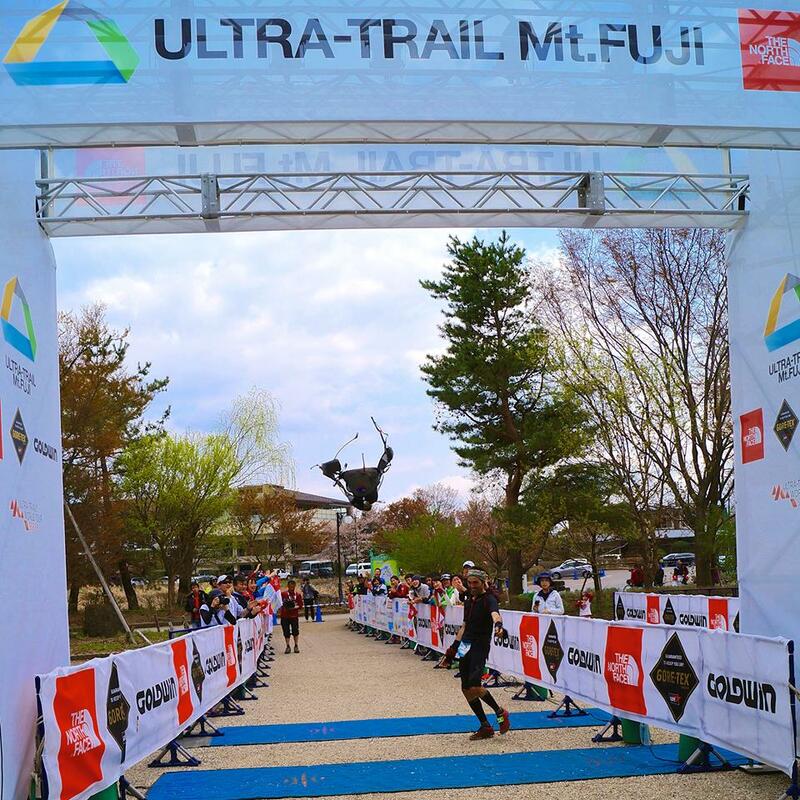 I also enjoyed my 1st 105mile trail race at UTMF, all 45hours of it. It was an epic race, at least for me. Hope to see you in Japan next year Brendan. Wow RaYzeef, to be out in the 2nd night and finishing just before the cutoff! Outstanding effort and reward for determination! Fantastic report, as always. Extra kudos to Nadine for her contribution. Great to hear it's not just my family that goes through all this (good and bad). Well done to you too Paul, it was epic to hear your recount of the race! 3rd Aussie home but you easily ran the longest distance!